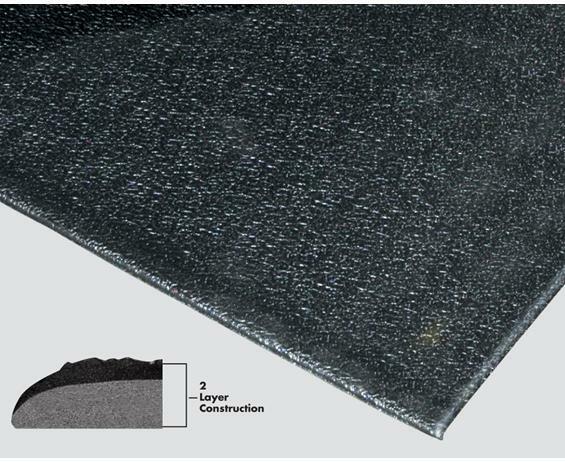 1/2" thick enhanced, wear-resistant top surface naturally bonded to a closed-cell PVC foam base outlasts traditional one-layer foam matting! A cost effective alternative to other laminated foam-based products. 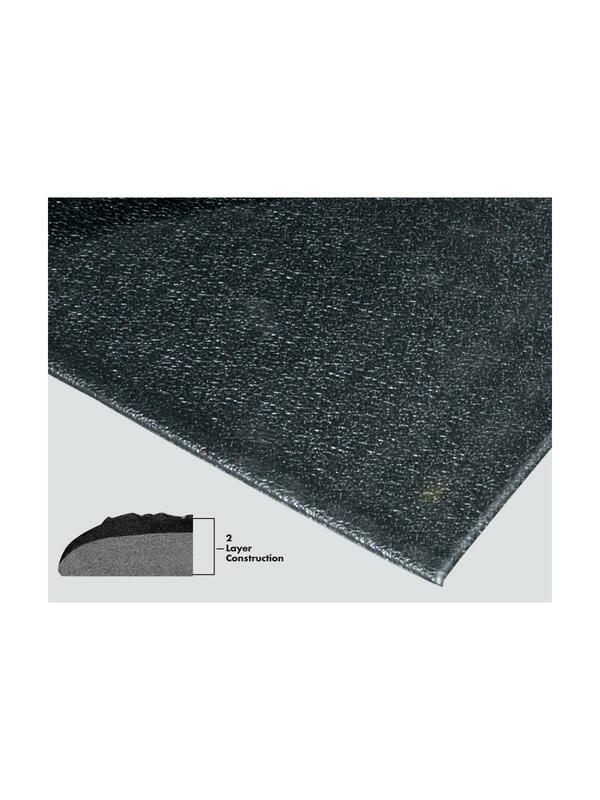 1/2" thick closed-cell foam structure resists moisture and common chemicals and provides all-day comfort and relief from standing. Beveled edges for increased safety. Limited lifetime warranty against product delamination. FOB Shipping Point.